Have you been one of those who have queued outside an H&M store to get your hands on the Isabel Marant for H&M collection? Or one of those who received the online message of being placed in a virtual queue? It seems like there has been a lot of excitement for this collaboration between the Swedish brand and the French designer since most of the items were sold out as soon as they were launched online. The collection presented some of the designer’s most recognizable looks in prices of course more affordable than Marant’s high-end line. Apart from some pictures from the collection’s lookbook I’m sharing with you some pictures of bloggers rocking the pieces in the best possible way. Αναρτήθηκε από Chadlen στις 1:42 μ.μ. Dora Ki 16 Νοεμβρίου 2013 - 2:09 μ.μ. Chadlen 18 Νοεμβρίου 2013 - 12:20 μ.μ. Elena Sofia Stocco 16 Νοεμβρίου 2013 - 2:11 μ.μ. Chadlen 18 Νοεμβρίου 2013 - 12:21 μ.μ. Freyas Fashion Chapter 16 Νοεμβρίου 2013 - 2:14 μ.μ. Chadlen 18 Νοεμβρίου 2013 - 1:12 μ.μ. Chahrazad 16 Νοεμβρίου 2013 - 3:03 μ.μ. Some items of the collection are very nice. Chadlen 18 Νοεμβρίου 2013 - 1:13 μ.μ. Jackie Harrison 16 Νοεμβρίου 2013 - 3:13 μ.μ. Like all the beautiful selection. Have a great day. Thank you for visiting dear..
Carelia Moran 16 Νοεμβρίου 2013 - 7:37 μ.μ. The only piece I wanted from that collection was the cardigan. Unfortunately I did not get a chance to buy it. The website was down most of the time and my local store did not have the collection ;-(. Did you get any? 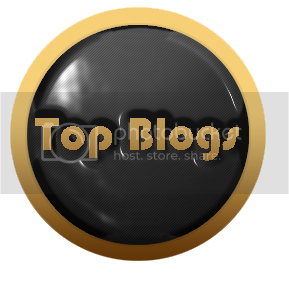 By the way, thanks for visiting my blog. Chadlen 18 Νοεμβρίου 2013 - 1:18 μ.μ. No, I didn't get any either. But if I had the chance I would love to buy the dress. I don't know if I am able to find it in my area. Alissa Gromova 16 Νοεμβρίου 2013 - 8:24 μ.μ. 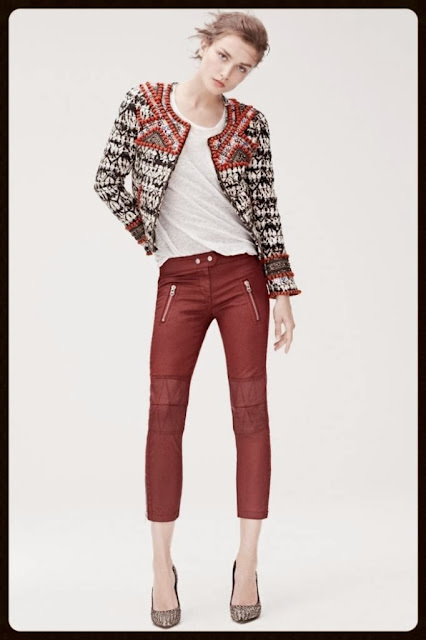 I like a lot Isabel Marant and happy with her collection for H&M! Chadlen 18 Νοεμβρίου 2013 - 1:19 μ.μ. Marina Ghirga 16 Νοεμβρίου 2013 - 11:40 μ.μ. Chadlen 18 Νοεμβρίου 2013 - 1:20 μ.μ. Anita 17 Νοεμβρίου 2013 - 1:51 π.μ. Chadlen 18 Νοεμβρίου 2013 - 1:24 μ.μ. Karla ‘‘Miss Delirium’’ 17 Νοεμβρίου 2013 - 4:03 π.μ. Chadlen 18 Νοεμβρίου 2013 - 1:25 μ.μ. Call me M 17 Νοεμβρίου 2013 - 4:04 π.μ. Thank you for commenting on my blog my sweet Chadlen . Chadlen 18 Νοεμβρίου 2013 - 1:27 μ.μ. Marta 17 Νοεμβρίου 2013 - 7:05 π.μ. Chadlen 18 Νοεμβρίου 2013 - 1:30 μ.μ. Marta Moura 17 Νοεμβρίου 2013 - 7:58 π.μ. Chadlen 18 Νοεμβρίου 2013 - 1:35 μ.μ. Bárbara Eirís 17 Νοεμβρίου 2013 - 9:01 π.μ. beautiful pictures!!! I love isabel marant, and love this collection too!! Sam 17 Νοεμβρίου 2013 - 4:47 μ.μ. We don't have H&M here but I have heard about the steep prices of this collection so I can imagine with our exchange rate they would work out much much more. Some pieces are quite cute. Chadlen 18 Νοεμβρίου 2013 - 1:38 μ.μ. saralookbook* 17 Νοεμβρίου 2013 - 11:55 μ.μ. Chadlen 18 Νοεμβρίου 2013 - 1:42 μ.μ. Cassandra Liu 18 Νοεμβρίου 2013 - 4:01 π.μ. Love this collaboration, it's so chic and absolutely cool. Too bad I didn't have time to check it out yet. Hopefully there's still some in stock when I do go check it out. Chadlen 18 Νοεμβρίου 2013 - 1:43 μ.μ. Birdie Liau 18 Νοεμβρίου 2013 - 4:18 π.μ. Chadlen 18 Νοεμβρίου 2013 - 1:48 μ.μ. Sierra Calah 18 Νοεμβρίου 2013 - 6:04 π.μ. Chadlen 18 Νοεμβρίου 2013 - 1:57 μ.μ. Katie Frank 18 Νοεμβρίου 2013 - 6:59 π.μ. Chadlen 18 Νοεμβρίου 2013 - 1:59 μ.μ. Samantha Nie 18 Νοεμβρίου 2013 - 7:10 π.μ. Margaret Dallospedale 18 Νοεμβρίου 2013 - 8:25 π.μ. Marie Zamboli 18 Νοεμβρίου 2013 - 11:58 π.μ. sorry for being late <3 can we also follow on BLOGLOVIN? Chadlen 18 Νοεμβρίου 2013 - 2:02 μ.μ. Caterina Ferraris 18 Νοεμβρίου 2013 - 12:53 μ.μ. Chadlen 18 Νοεμβρίου 2013 - 2:09 μ.μ. martina tring 18 Νοεμβρίου 2013 - 1:27 μ.μ. Hi, yes I bough a denim jacket from the kids department. Thank you for visit , yes we can follow each other . Im your new follower now , hope you follow me too . Chadlen 18 Νοεμβρίου 2013 - 2:14 μ.μ. martina tring 19 Νοεμβρίου 2013 - 1:30 π.μ. Dharia Lézin 18 Νοεμβρίου 2013 - 2:18 μ.μ. Chadlen 18 Νοεμβρίου 2013 - 2:34 μ.μ. Mary Kapsi 18 Νοεμβρίου 2013 - 2:31 μ.μ. Arien Ruiz 18 Νοεμβρίου 2013 - 2:42 μ.μ. But the first pants are great! Chadlen 20 Νοεμβρίου 2013 - 2:09 π.μ. Chantal Cachela 18 Νοεμβρίου 2013 - 3:01 μ.μ. Chadlen 20 Νοεμβρίου 2013 - 2:11 π.μ. Ann 18 Νοεμβρίου 2013 - 5:33 μ.μ. and sure I'd be happy for us to follow each other. hope you follow back. Thanks. Chadlen 20 Νοεμβρίου 2013 - 2:14 π.μ. Dharia Lézin 18 Νοεμβρίου 2013 - 7:22 μ.μ. Chadlen 20 Νοεμβρίου 2013 - 2:17 π.μ. sepatuholig-Grace Njio 18 Νοεμβρίου 2013 - 9:36 μ.μ. I was in H&M last week, greattttt collection! Chadlen 20 Νοεμβρίου 2013 - 2:19 π.μ. I'm glad you liked it..
Rosh S 18 Νοεμβρίου 2013 - 9:50 μ.μ. Chadlen 20 Νοεμβρίου 2013 - 2:22 π.μ. Ewelinachiclifestyle Ewelina 19 Νοεμβρίου 2013 - 1:59 π.μ. Ewelinachiclifestyle Ewelina 19 Νοεμβρίου 2013 - 2:00 π.μ. btw answering on ur question yes , we can follow each other. I just followed ya via GFC, bloglovin and FB. Marina Ghirga 19 Νοεμβρίου 2013 - 3:44 π.μ. Chadlen 20 Νοεμβρίου 2013 - 2:25 π.μ. Happy day to you too!!! Sam 19 Νοεμβρίου 2013 - 4:11 π.μ. Chadlen 20 Νοεμβρίου 2013 - 2:28 π.μ. Thank you Sam..Have a nice day!!! Lizzy 19 Νοεμβρίου 2013 - 5:18 π.μ. i love this collection! i want everything! The Adventures of a Shopaholic 19 Νοεμβρίου 2013 - 7:49 π.μ. Chadlen 20 Νοεμβρίου 2013 - 2:32 π.μ. Julie Ann Lozada 19 Νοεμβρίου 2013 - 8:14 π.μ. Chadlen 20 Νοεμβρίου 2013 - 2:35 π.μ. LoveT. 19 Νοεμβρίου 2013 - 8:22 π.μ. Melinda W. 19 Νοεμβρίου 2013 - 10:41 π.μ. there was so much commotion over this, it seems like, but everyone looks so good! Chadlen 20 Νοεμβρίου 2013 - 2:36 π.μ. Michelle Verpuggi 19 Νοεμβρίου 2013 - 11:33 π.μ. maria esther vidal obregón 19 Νοεμβρίου 2013 - 12:47 μ.μ. Love everything from Marant!! Would you liket to folloe each other? Kisses!! Chadlen 20 Νοεμβρίου 2013 - 2:42 π.μ. Perla Sanchez 19 Νοεμβρίου 2013 - 1:23 μ.μ. Chadlen 20 Νοεμβρίου 2013 - 2:43 π.μ. Flavia Eriel 22 Νοεμβρίου 2013 - 5:11 π.μ. Chadlen 1 Δεκεμβρίου 2013 - 1:14 π.μ. Manhattan Image and Style 22 Νοεμβρίου 2013 - 7:44 π.μ. Chadlen 1 Δεκεμβρίου 2013 - 1:17 π.μ.